Might recheck the copyright license. UK might have a different aspect. Jag is remaking the E-Type Lightweight and now the XKSS, which means they retain all patterns. Probably have to buy a pattern to reproduce for TradeMark reasons. The replica manufactures make their own patterns and do add they have no affiliation to Jaguar or they are a Heritage Jaguar approved dealer. Isn't that the Kettle? 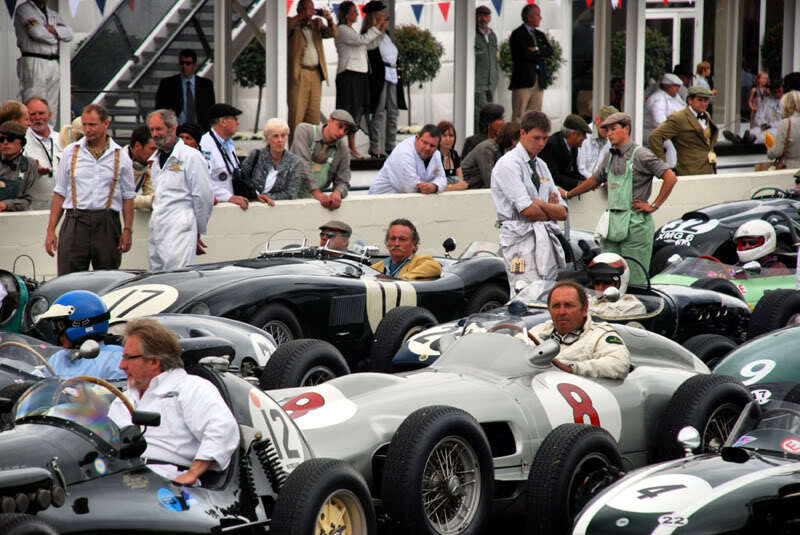 The 1952 Long-tailed C-Types, who's aero bodies made them blisteringly fast down Mulsanne Straight, but were fatally prone to overheating. That's what you get when you leave the cooling system's design to a bloke named Roy Kettle! I understand the overheating was first ascribed to the new body shape. After further analysis they found the water pump caused the problem. I vaguely remember it was cavitation, not a seal or bearing failure. 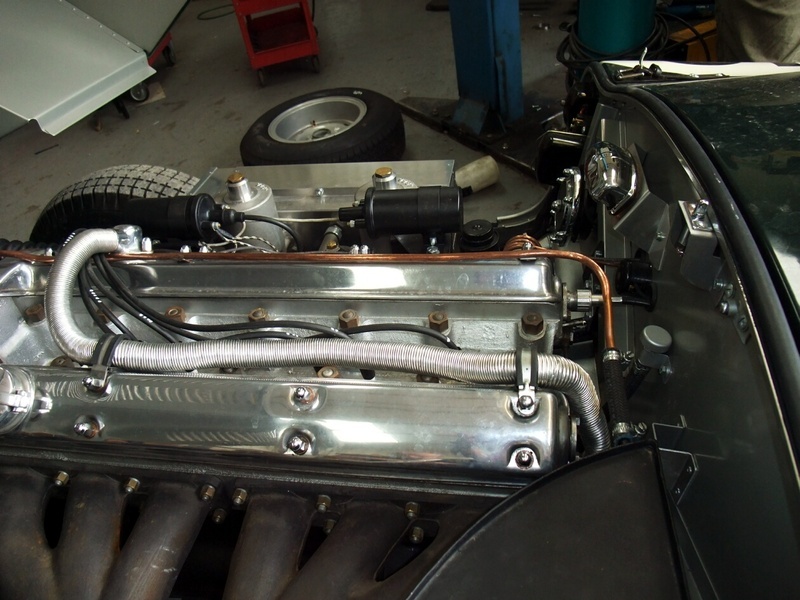 I also believe they used the later type pump body design, as found in XK140s and XK150s. Well, to answer the three posts the cars weren't actually very fast at all in the end, in fact slower than the standard C-type. The reason was that as Malcolm Sayer planned, the shape was that of an aerofoil, and it did exactly what he wanted - but the opposite to it! The rear end lifted above 120 mph and the cars were squirreling down the 4 kilometre Mulsanne straight (actually and properly called the Hunaudières by the way). The repositioning of the header tank, on the bulkhead in front of the passenger side, was part of the problem for the failures, and whenI had a long chat with Norman Dewis about it he said that the pipes between the header tank were 7/8ths and he changed them to 1 1/4, plus the water pump pulley was the wrong size and caused cavitation. He then did several hours at MIRA with no problems. Except that wasn't the cause of the problem anyway. It was, as further research and interviews have revealed, something completely different, and something one could never really think of. Having teased you here, I have sadly to say that for the moment I have given my word not to reveal the true cause of the failures. Here are a couple of pictures of the car on the grid at the goowood revival and also one where you can just see the header tank. You'll not I am positioned next to Jackie Stewart in his F1. The magazine article I'm referencing is from UK Octane's archives, & is about the replica that I think the original pic, at the start of this thread, was of. In that article they weren't allowed to give the car full throttle, though they said the overheating problem had been cured (by repositioning the header tank). But they said it was definitely quicker than a standard C-Type & would have delivered an extra 10-15kph down Mulsanne Straight. It's all academic now. But I wish whoever now owns that replica would allow it to be driven full bore around Le Mans, just to settle the argument. Last edited by scatcat; 01-08-2017 at 05:11 AM. Well, I built it and I live at Le Mans and I assure you that it is an evil-handling car! Stirling topped 120 wit it at Goodwood and I went faster at Montlhery but the tail acts like a pendulum in bends and oversteer requires opposite lock all the time as Tony Dron found out when he wrote the article. It was only this summer that if found out from a descendant of one of the original team just what caused the overheating and we had no idea when the article was written.